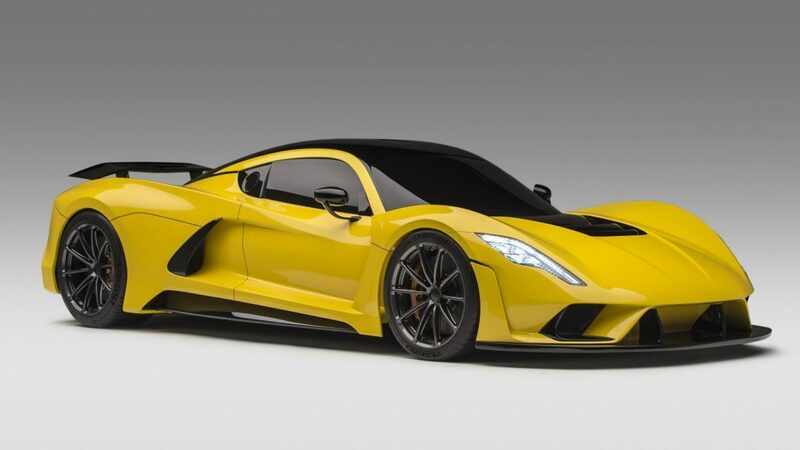 Hennessey Performance has revealed the Venom F5 at a few events around the world and it caught everyone’s attention considering the twin-turbo V8 engine is expected to produce a mind-boggling 1,600 hp (1,193 kW) and has its sights set on the 300 mph (482 km/h) top speed record. Thanks to a new interview with Top Gear, Hennessey has revealed more information about the future of the Venom F5. Hennessey confirmed that he doesn’t want to just beat his Bugatti and Koenigsegg-shaped rivals, he wants to obliterate them. Last year he mentioned that 300 mph is the baseline and that is where they want to begin with this battle. The final output of the Venom F5 is not yet known but Hennessey did confirm that it will deliver as much power as is necessary to crack the 300 mph mark. The development programme is all on schedule apparently and there is a lot of build and engineering work happening at Silverstone. Yhe first prototypes will be built in June, and the plan is to reveal the car to customers in August at the Pebble Beach automotive week. Only a few Venom F5s from the 24 cars planned still remain up for grabs, and each will cost $1.6m a piece. The final production car will be revealed in 2020.